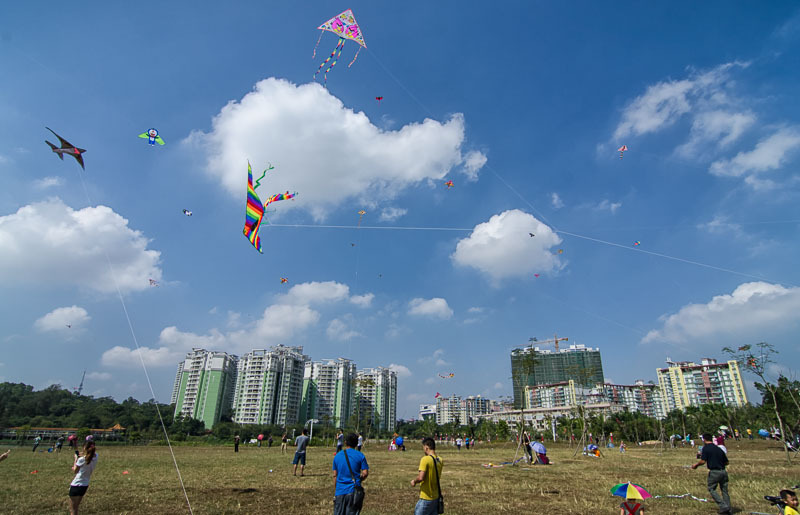 Sunday appears to be the big day for kite flying and today we had glorious weather. 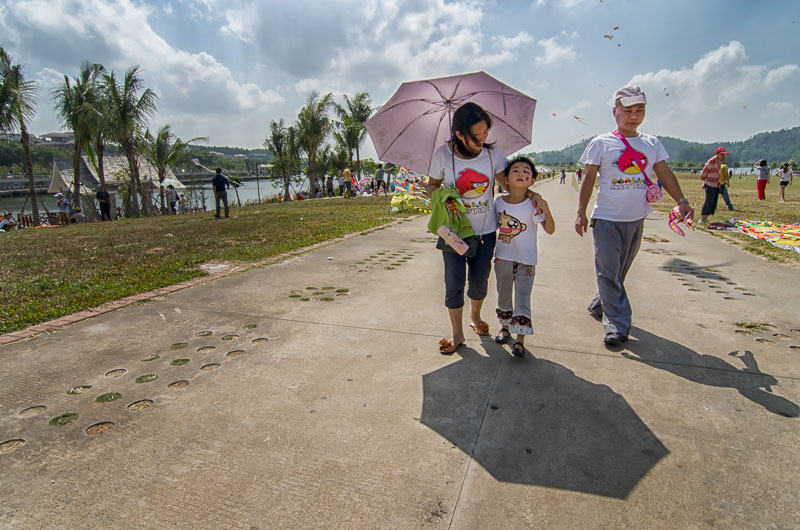 Sunny with a nice breeze. 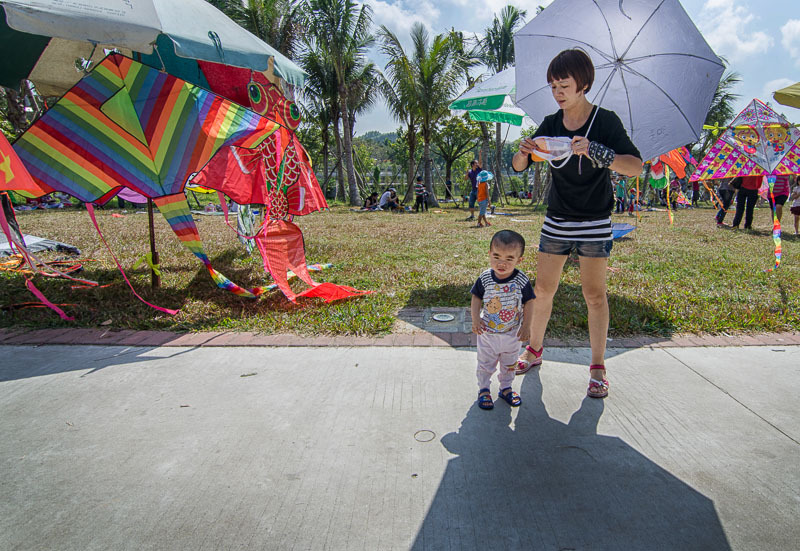 The park was full of families and picnics. 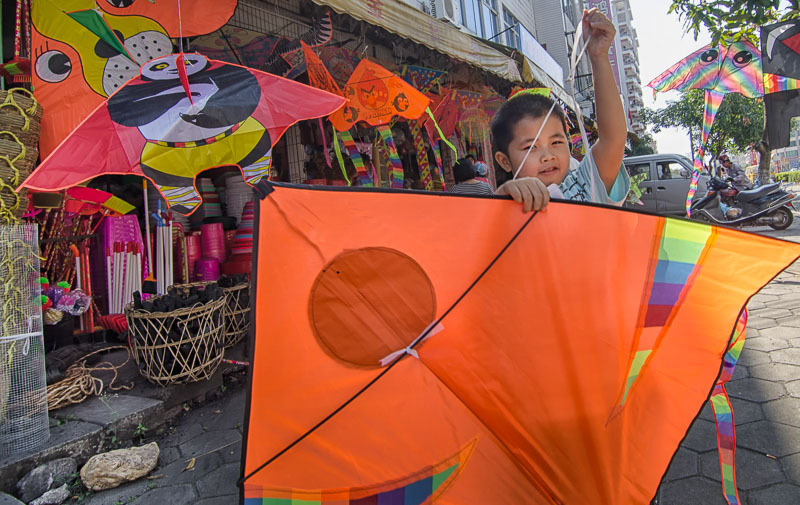 There were plenty of places to buy kites if you don’t have one. 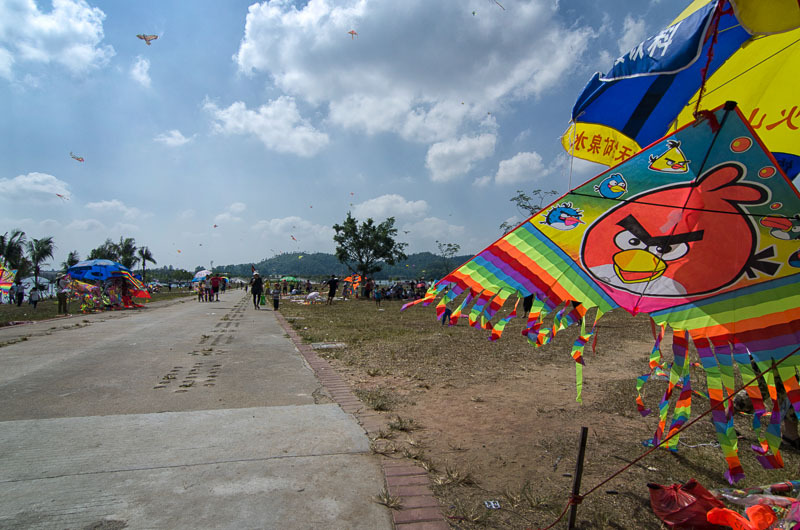 The design trends seemed to favor Angry Birds and Chinese Air Force bombers. 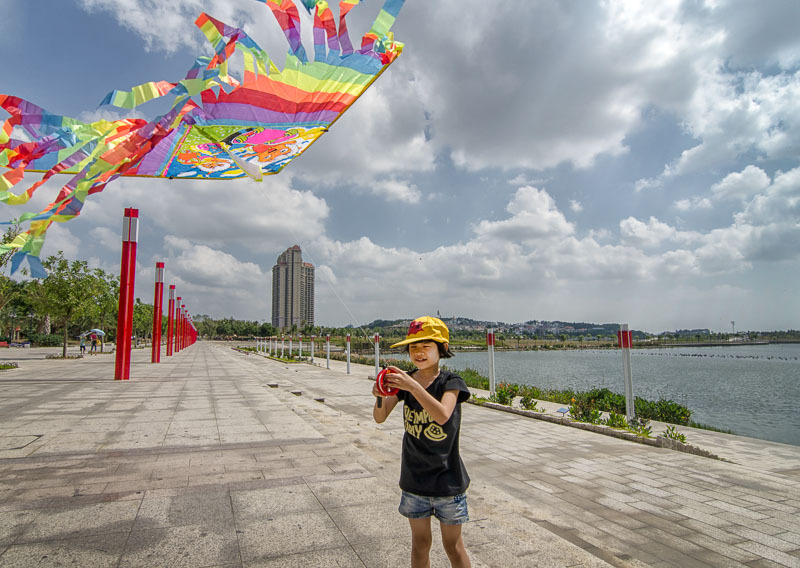 I call this “Kite Hippodrome” because I checked my location on my iPhone and according to Google Maps that’s what the park is called. 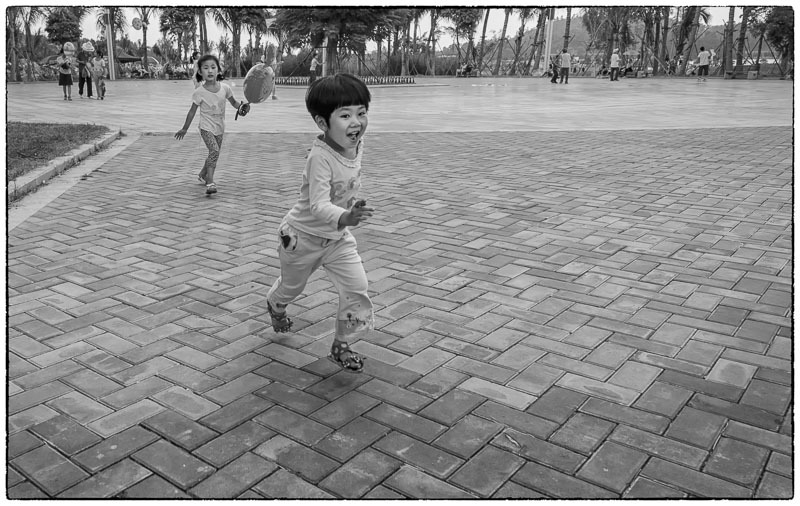 If Google calls it a Hippodrome then it must be right. 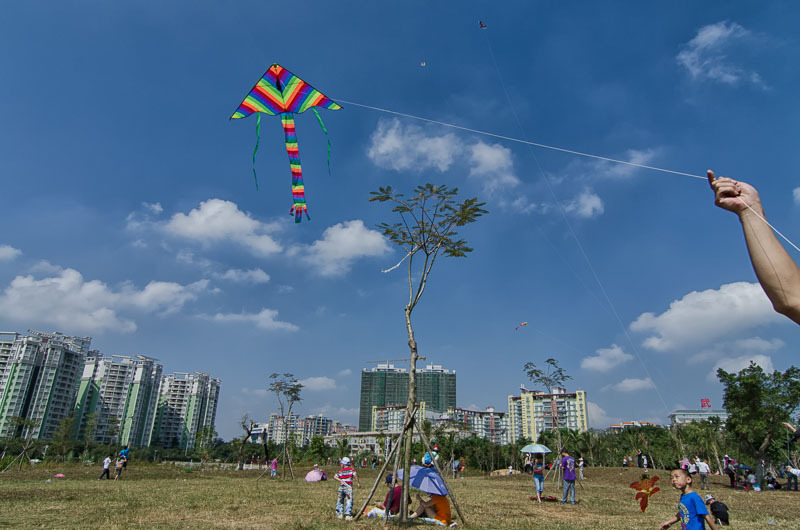 EDIT: It turns out this visit to the kite park was just a warm-up for the big event. 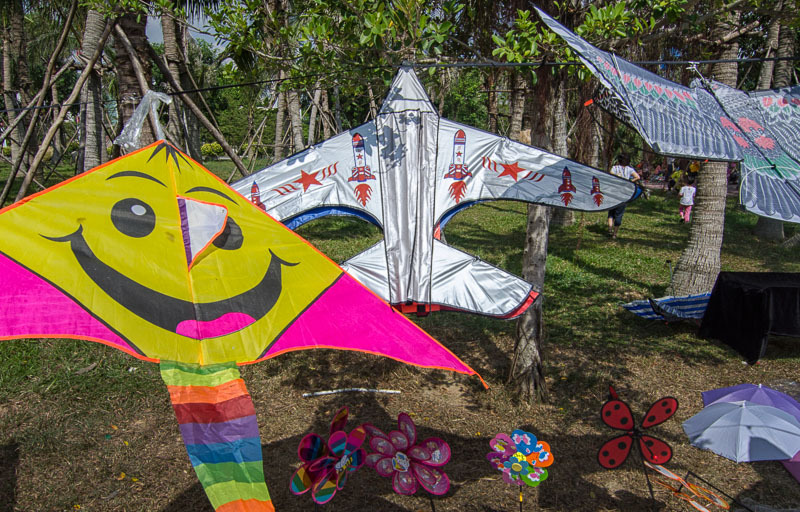 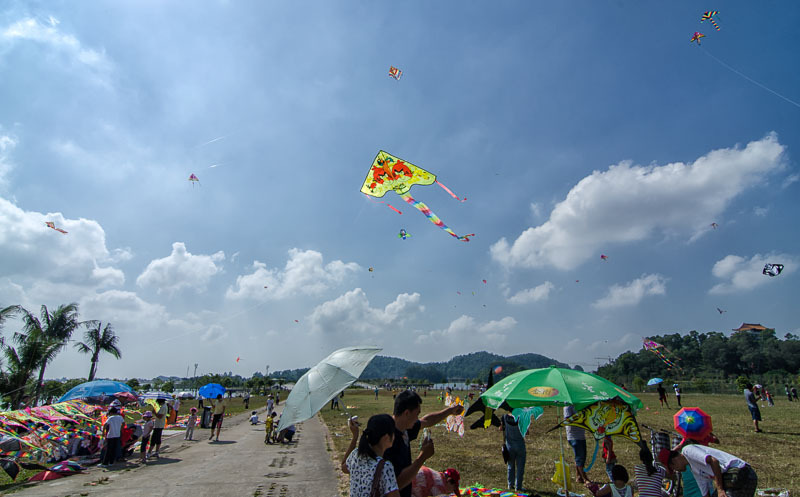 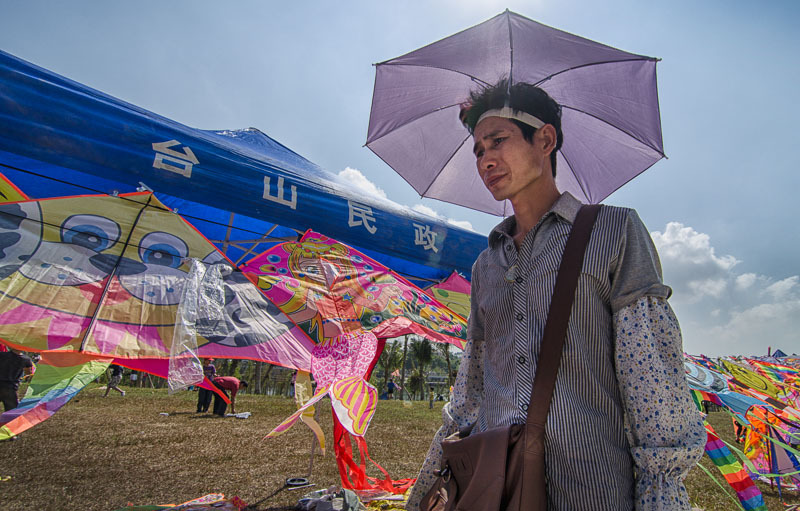 The Yangjiang Kite Festival was 3 days later and provided the mother-load of kite photos. 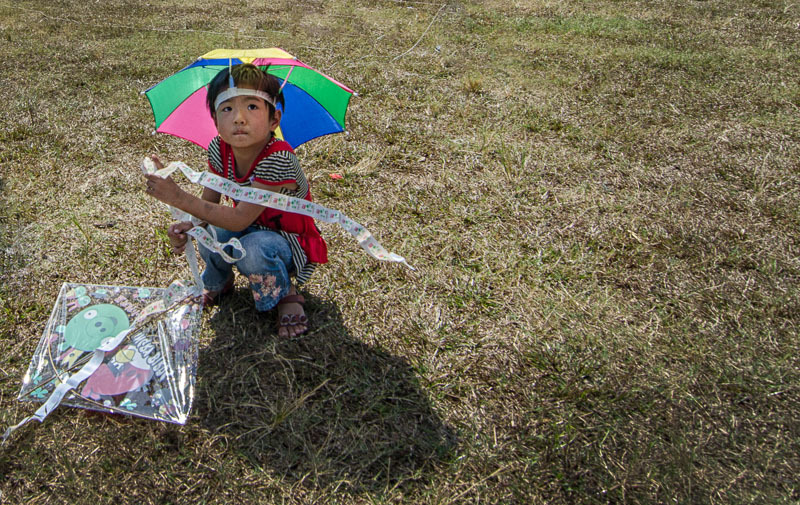 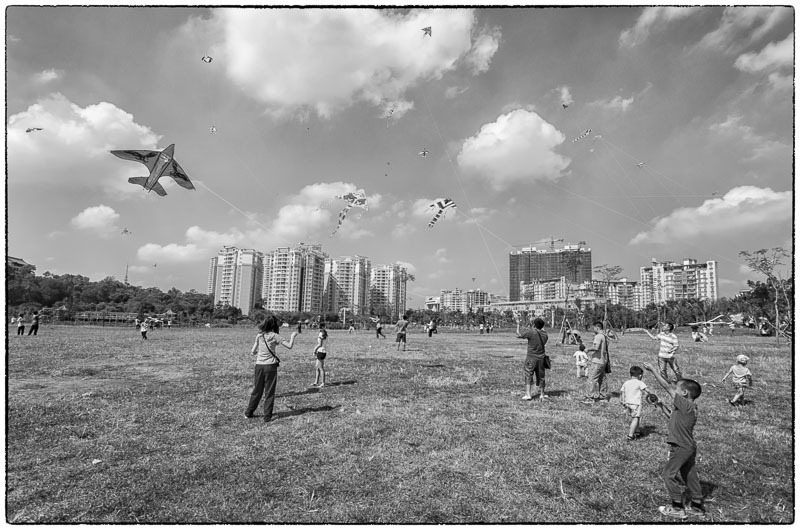 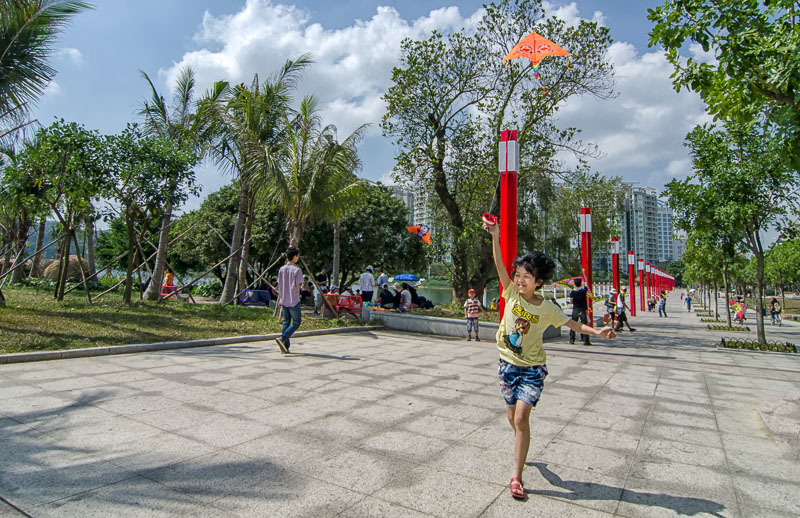 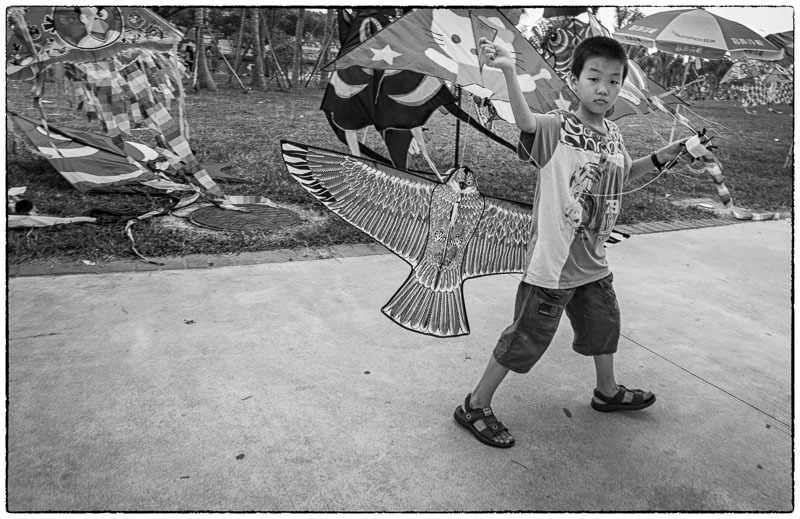 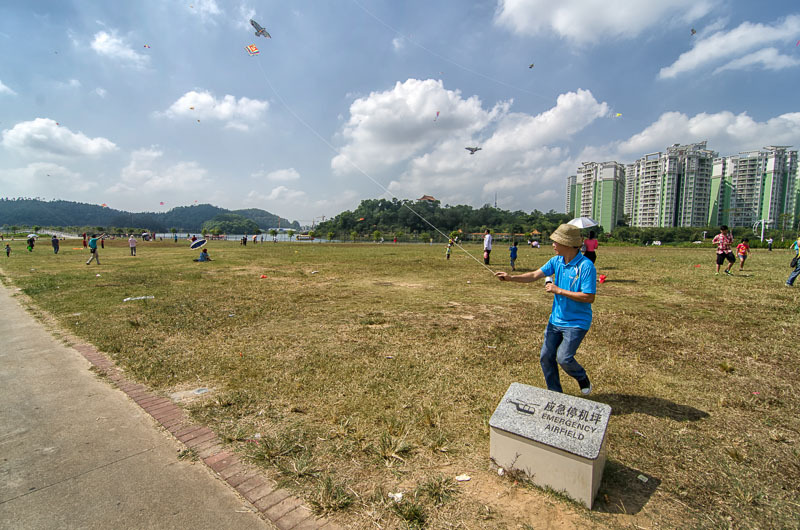 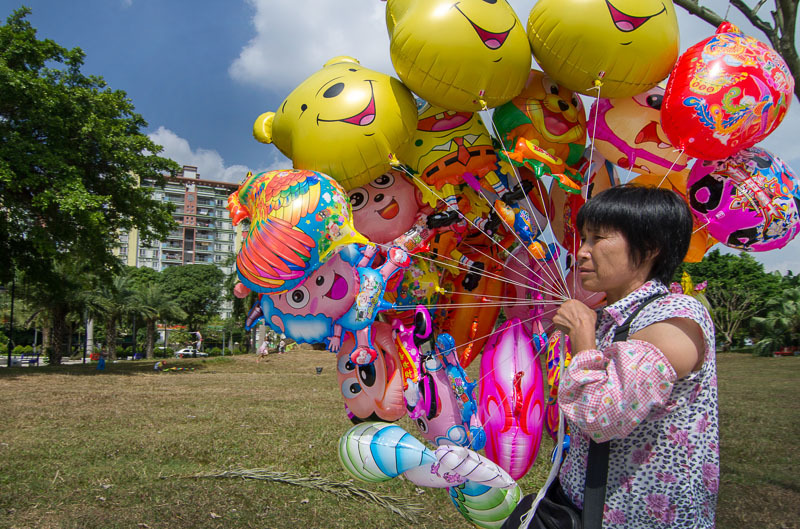 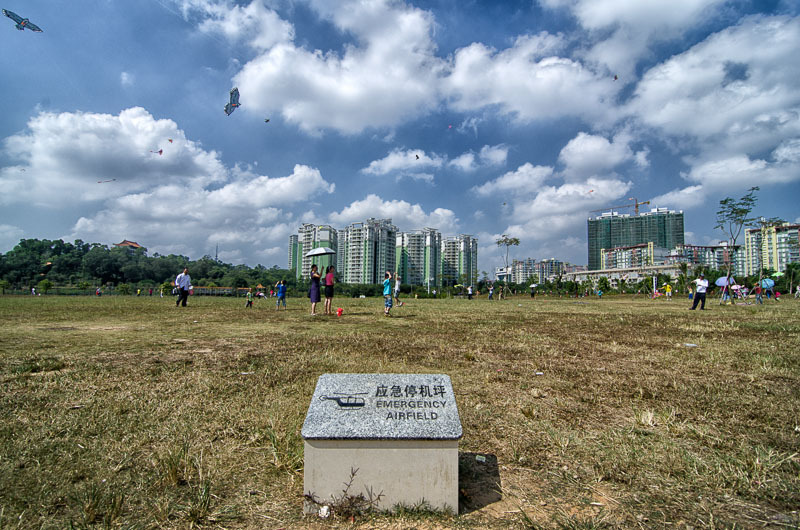 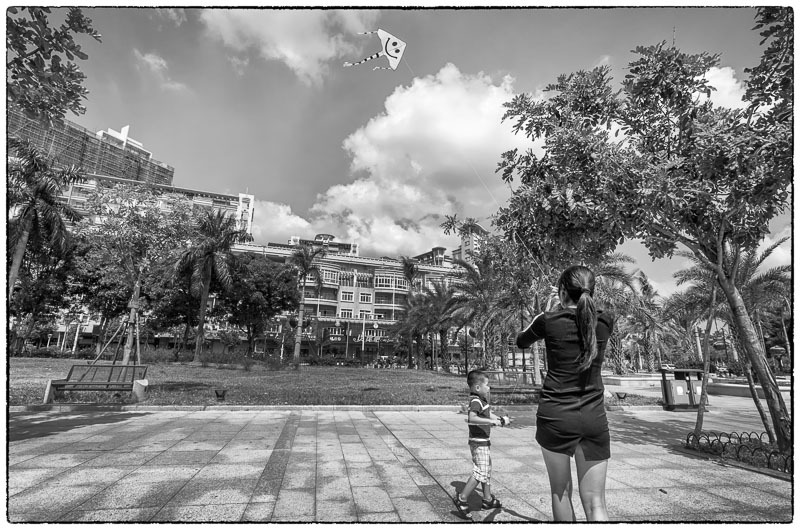 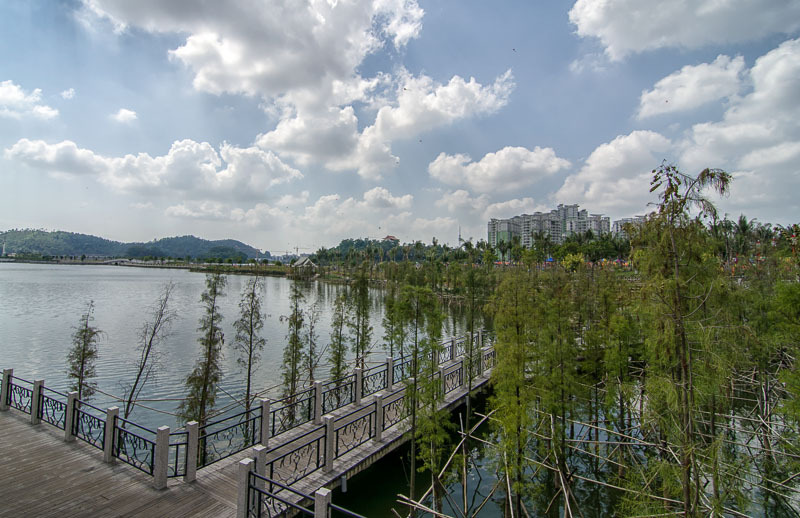 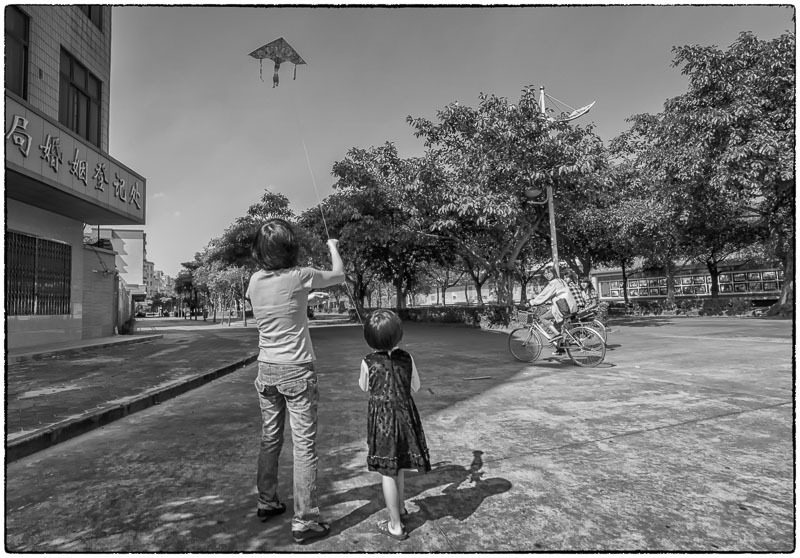 October 21, 2012 | Filed under China, Kids, Kites, Nature and tagged with China, kids, shopping.